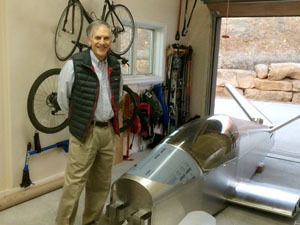 First Customer-Built SubSonex Personal Jet Flies! 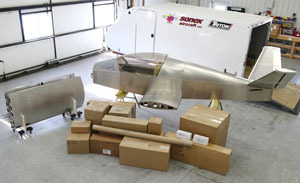 Redge received the first SubSonex kit delivery in February, 2015, an Ultra-Quick-Build kit with optional Triton Trailer (see our February 16th Press Release). 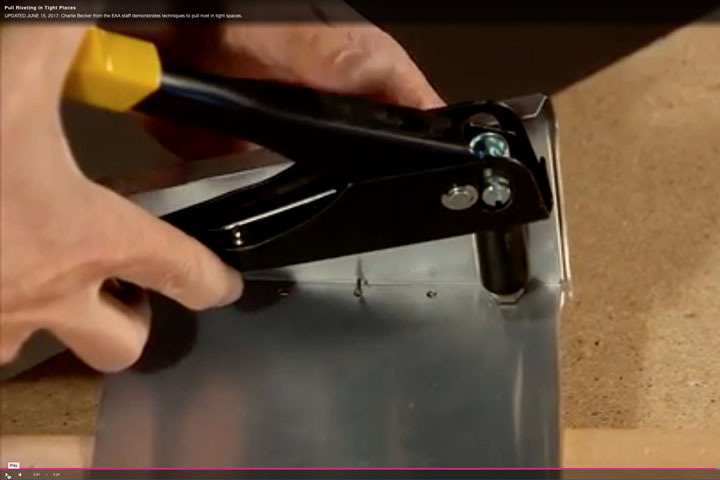 The SubSonex is sold as a Quick Build Kit only, leaving very little work for the customer, and providing almost everything needed to fly with the exception of avionics and paint! 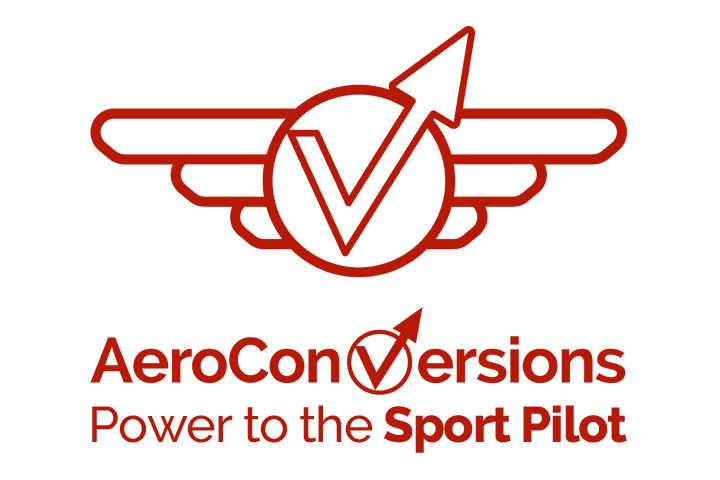 Two Quick Build Kit versions are offered: an EAB-compliant kit for the traditional builder including pre-built wings, fuselage and canopy; and an Experimental Exhibition category Ultra- Quick Build Kit with no “51 percent rule” restrictions. 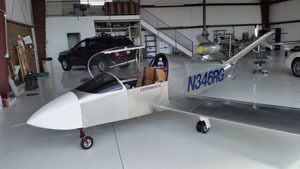 The Ultra-Quick Build customer will install the easily-removable outboard wing panels, engine and fuel system, bolt-in the retractable landing gear, install avionics, electrical systems and controls, install the supplied BRS, fiberglass components and upholstery, and add paint. 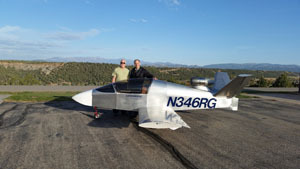 With two SubSonex JSX-2 factory prototype aircraft now flying, Redge’s SubSonex makes number 3 in the worldwide fleet, with 6 more customer kits currently under construction. 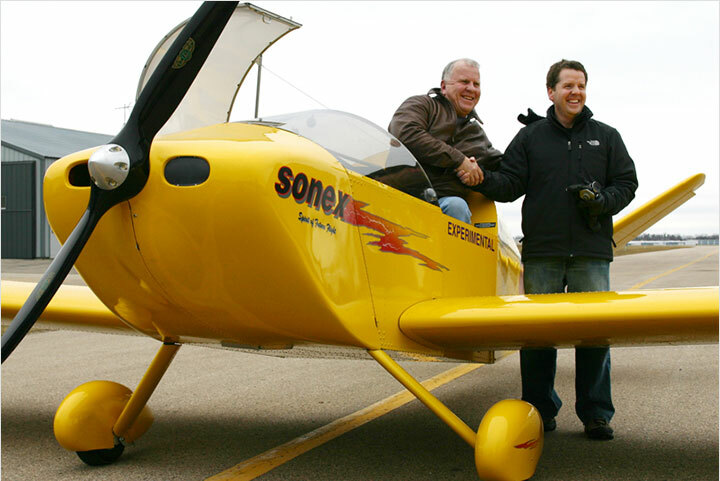 The skies over Oshkosh were once again filled with tiny jet noise on the afternoon of October 7th as the JSX-2 worldwide fleet doubled with first flight of SubSonex N241SJ! 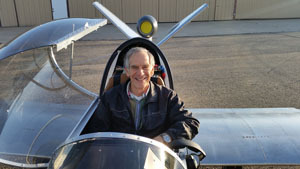 John Monnett took the sister ship of #1 JSX-2 prototype N141SJ for a short flight, which was uneventful and successful. 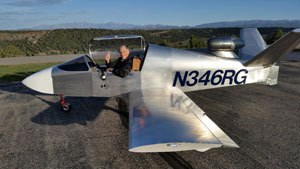 #2 JSX-2 N241SJ was constructed at the same time as N141SJ, but flying the aircraft took a back seat to flying and refining it’s “Sonex yellow” sibling, leading to it’s use advertising the design as the airshow bird of Bob Carlton’s Vertigo Airshows. 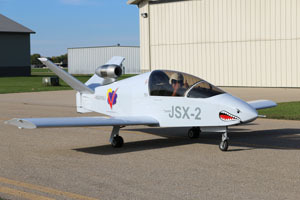 The gray, shark-mouthed JSX-2 #2 will serve as Sonex’s Oshkosh-based SubSonex factory demonstrator, and incorporates all the latest refinements to the SubSonex design. 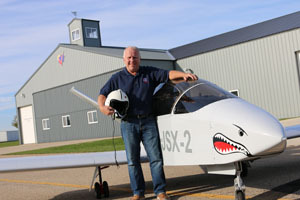 Bob Carlton recently added the 8th and 9th events to the SubSonex 2015 performance schedule, capping-off a hugely successful year for the inaugural show season in the new jet. We are particularly excited to announce that the SubSonex will be performing at the annual Blue Angels Homecoming Air Show! 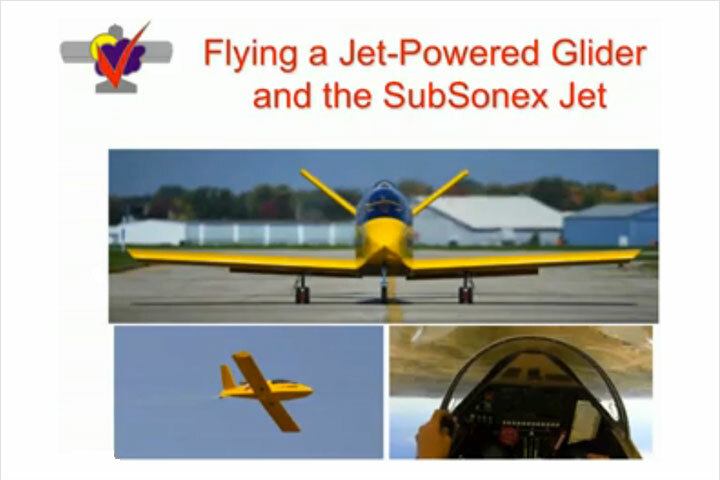 The SubSonex offers a unique experience in jet shows, combining jet speed with small aircraft maneuverability and close-in aerobatics. See the full show schedule on the Sonex Events Page. 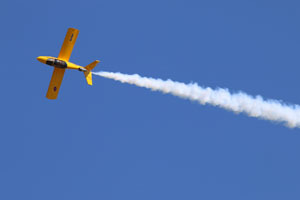 This air show and fly-in will be celebrating it’s 22nd annual event in 2015. 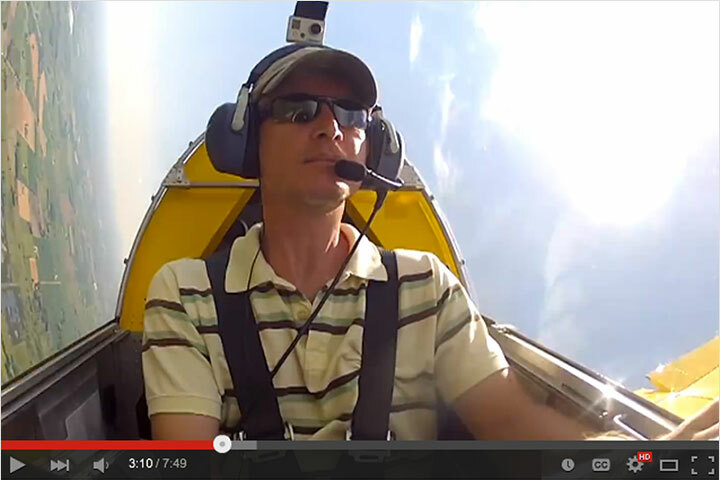 The show is dedicated to inspire others to fly, especially youth in the Central Savannah River Area. The Blue Angel Homecoming Air Show is an annual tradition at NAS Pensacola, wrapping-up the season with a special show to thank residents of the Blue Angels’ home base community. 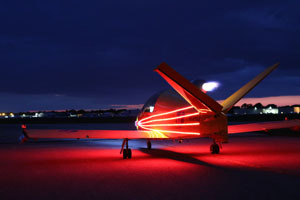 Attractions include the Naval Aviation Museum, and the opportunity to get a unique look at the operations of the Blue’s home field. 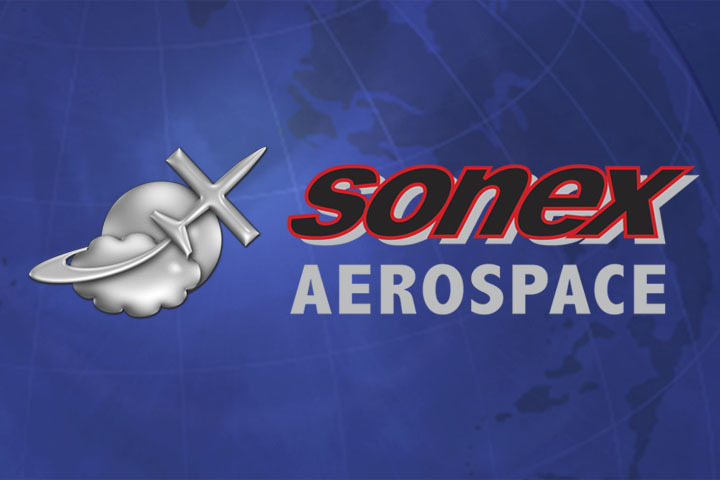 After Aero-News.net suggested the SubSonex as replacement aircraft for the USAF Thunderbirds, Sonex Aircraft is hopeful that Navy admirals will take interest in the SubSonex during the Pensacola show.